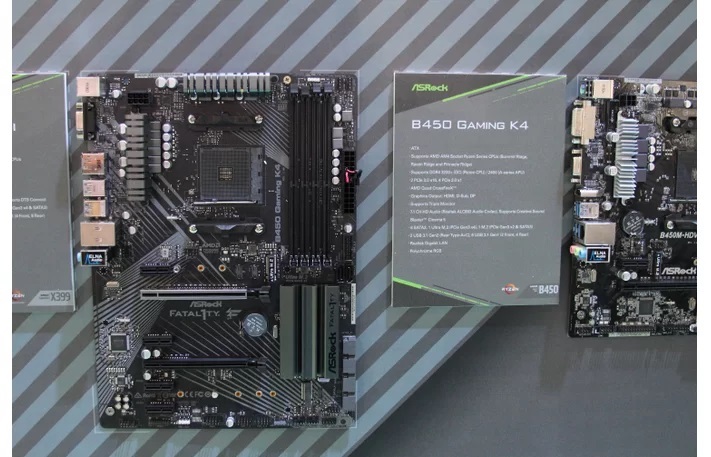 AMD has yet to officially launch the B450 chipset, but that didn’t stop motherboard manufacturers from showcasing their upcoming AM4 B450 motherboards at Computex 2018. 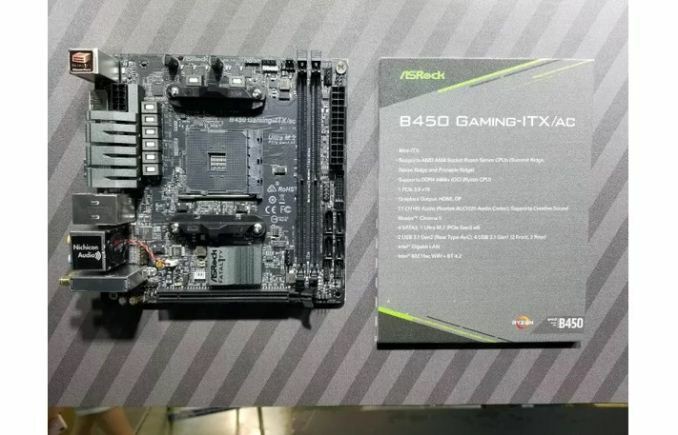 Of all the major motherboard brands present at this year’s venue, ASRock brought one of the most diversified lineups of B450 motherboards. The B450 Gaming K4 is ASRock’s standard ATX offering. There’s a nine-phase VRM present drawing power from a single 8-pin EPS connector. The motherboard is equipped with four DDR4 memory slots that support frequencies scaling to 3,200MHz through overclocking. 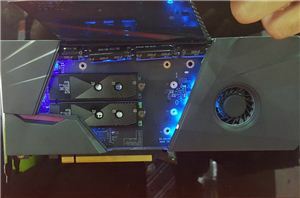 The motherboard also features two PCIe 3.0 x16 slots and four PCIe 2.0 x1 slots. This opens the door to the possibility of running an AMD Quad CrossFireX configuration on this motherboard. Graphics output consists of an HDMI port, DisplayPort, and D-Sub port with support for up to three monitors. The storage options on the ASRock B450 Gaming K4 consist of four SATA III ports, an M.2 PCIe Gen 3.0 x4 port, and an M.2 PCIe Gen3 x2 port. The audio solution is based on the Realtek ALC892 audio codec – while not the latest and greatest, will still put out good sound for most users. The rear I/O hosts two USB 3.1 (Type-A and Type-C) and four USB 3.0 ports. 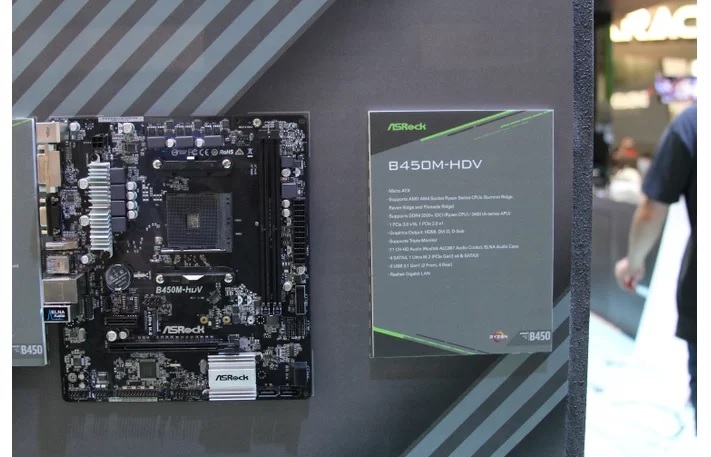 The B450M-HDV is a micro-ATX motherboard aimed at consumers who prefer to build compact systems. The motherboard is armed with a seven-phase VRM and a single 4-pin EPS connector feeding them the power. Two DDR4 memory slots can handle memory modules that exceed the DDR4-3200 specification. Options for expansion are a bit limited with only a single PCIe 3.0 x16 slot and PCIe 2.0 x1. 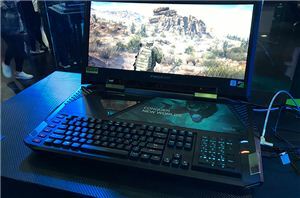 Similar to the B450 Gaming K4, the B450M-HDV also comes equipped with one HDMI port, DisplayPort, and D-Sub port with support for triple monitors. There are a total of four SATA III ports, a M.2 PCIe Gen3 x4 port, and a M.2 SATA III port for users to connect their storage devices. The motherboard utilizes the Realtek ALC887 audio codec for its audio responsibilities and shares the same number of USB ports as the larger B450 Gaming K4. 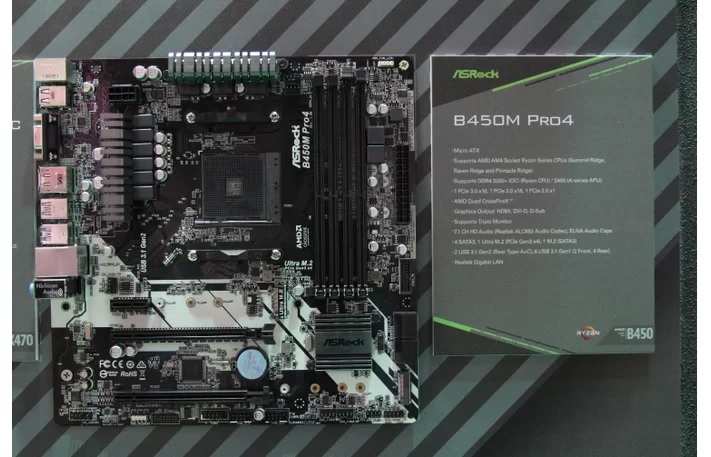 The ASRock B450M Pro4 falls into the micro-ATX category as well. In terms of feature set, it’s almost identical to the B450M-HDV except for a few key differences. Unlike the B450M-HDV’s seven-phase VRM, the B450M Pro4 rocks a more robust nine-phase VRM and an 8-pin EPS connector. They also differ from each other in the number of expansion slots and audio codec. The B450M Pro4 has an extra PCIe 2.0 x16 slot while also employing the Realtek ALC892 audio codec instead of the ALC887 codec found on the B450M-HDV. It's comforting to see that ASRock didn’t forget about Mini-ITX lovers. Like its micro-ATX siblings, the tiny B450 Gaming-ITX/ac packs two DDR4 memory slots. However, ASRock said the motherboard supports memory frequencies over 3,466MHz. Due to the nature of the form factor, the motherboard comes with a single PCIe 3.0 x16 slot. Video connectivity comes in form of an HDMI port and DisplayPort. The ASRock B450 Gaming-ITX/ac possesses four SATA III ports and a M.2 PCIe Gen3 x4 for storage. ASRock opts for the latest Realtek ALC1220 audio codec for this particular model. The rear I/O carries two USB 3.1 (Type-A and C) and two USB 3.0 ports at the rear. The itty-bitty motherboard also comes with built-in 802.11ac Wi-Fi and Bluetooth 4.2 connectivity. Pricing and availability were not shared. But we do expect to see the boards soon. Zhiye Liu Contributed to this Report. and the problem with both of them, is that their PCIe16x slots aren't positioned correctly for dual GPU in a mATX case. Nothing listed on German comparison sites. The B350M Pro4 was my mainboard of choice because of the reasonable price and dual M.2 slots (one PCIe/NVME and one SATA based). Glad to see it receive the B450 treatment almost unchanged. Didn't buy it because I was waiting for DRAM prices to lower and then it turned into waiting for the B450 for maybe better memory support and likely better Zen2 support in the future. 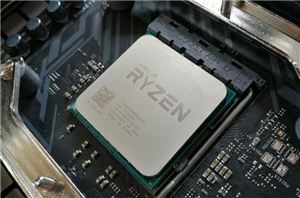 "Like its micro-ATX siblings, the tiny B450 Gaming-ITX/ac packs two DDR4 memory slots"
I would be much more apt to look at AsRock as a potential company to buy from, except for the fact they do not have RMA locations within Canada, sadly the only 2 that I know of that do at this point is ASUS or MSI, I would hate to ship something that should just work right off the bat across countries or across the ocean and wait weeks or months for them to "fix it" and find out that they instead just sent the same product back to you claiming "we found nothing wrong"
This is why we cant have nice things LOL. Am I seeing a trend of equipping ITX boards with more than 2 fan headers? Think I've seen that quite a lot recently. If so: I wholeheartedly approve.